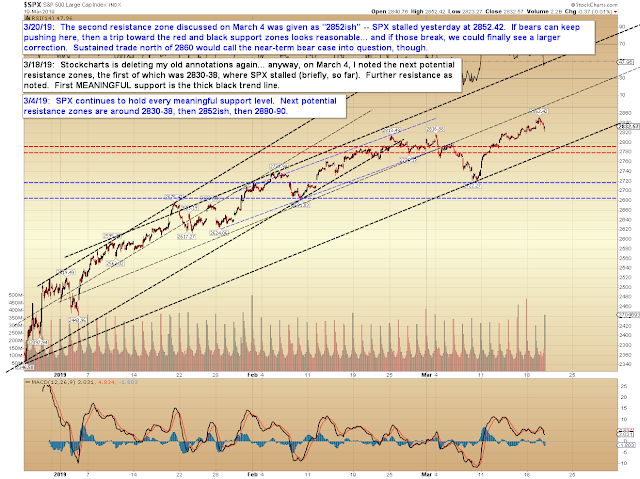 Pretzel Logic's Market Charts and Analysis: SPX, NDX, INDU: Bear Hope? 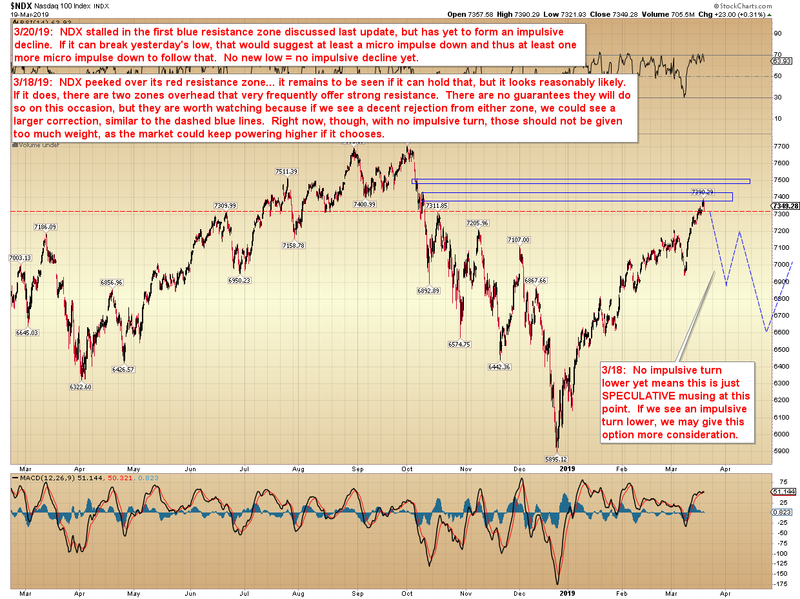 SPX, NDX, INDU: Bear Hope? On March 4, I listed the potential resistance zones for SPX, and the second zone I called out was "2852ish." Yesterday, SPX hit a high of 2852 directly on the nose, then reversed strongly. 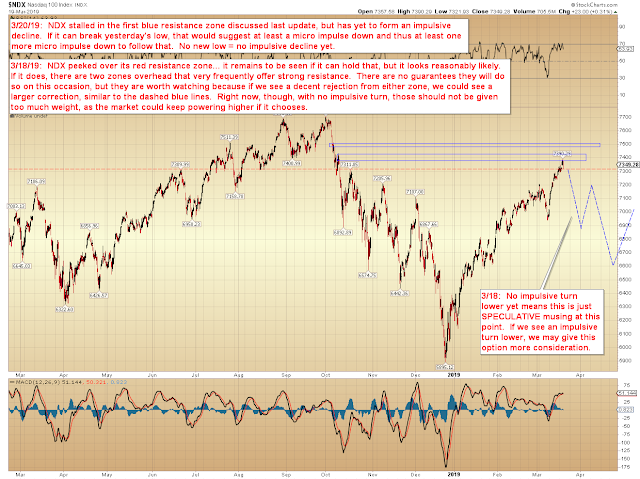 This, combined with INDU (more on this in a moment) gives bears at least a fighting chance. 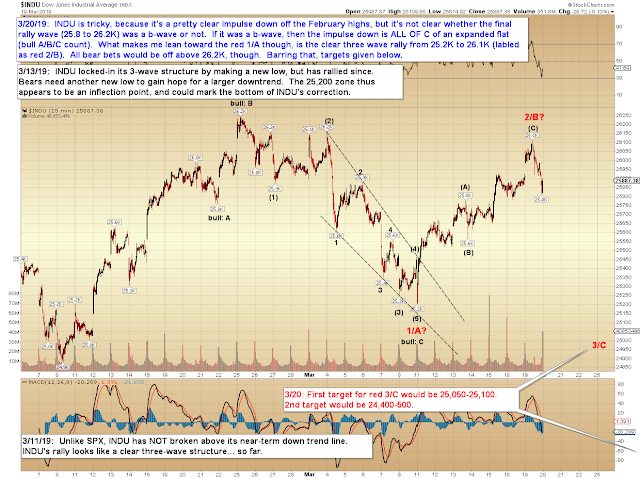 And INDU looks like a three-wave rally -- so far. If bulls sustain trade above yesterday's high and the February high, then all bear bets would likely be off for the very near term. But as of this moment, it is what it is and has to be treated accordingly. In conclusion, this may be the best shot bears have had in a while. No guarantees, but as long as bears hold the noted levels, we may see the near-term shift into their favor in the not-too-distant future. Trade safe.